You are here: Home » News » NEWS » Equipment for Drilling - How To Get The Best Equipment For Less? 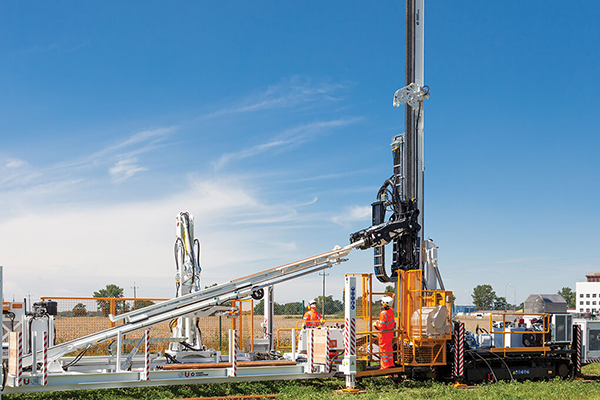 While every company aims at getting the best equipment for less cost, it is very important to consider some essential factors when choosing equipment for drilling. Yes, price does not always determine the quality of equipment, hence, you need to go for quality irrespective of the cost. If you have an older drilling fleet including the drill rigs, drill rod, drill casing, buying a new drilling rig gives you the opportunity to drill more productively to get more meters. Newer computers are generally more productive, offer more reliable uptime, and have many more built-in security features than older computers. It is more likely that new equipment meets the stringent safety requirements that have been imposed today, where, on the contrary, with old equipment could not be up to the level and lost for it the award of a drilling contract. Apart from cost alone, there are other factors which include whether the drilling company has the time, talent, and capabilities to do an overhaul on a drill rig that has been idle and needs work. An overhaul can take three to four months and requires the facilities, tooling, a labor pool of mechanics with the time and the knowledge needed to get drill rigs ready. The first question anyone would likely ask when they find themselves in the market for another drill rig is whether to buy a new or used drill rig. Getting used equipment is usually challenging, and it’s difficult to be sure how well or harsh the rigs were treated and used in the field when in the market for used drill rigs. Hydraulic systems, for example, are very delicate and if they’ve been mistreated or there is contamination in the hydraulic system, it can be extremely expensive to replace pumps, motors, or valves. If the history and maintenance of the drill rig aren’t known it can be a risky purchase. There were a lot of great buys in the market downturn, but as the market continues to improve, price points are going to increase and decreases availability for diamond drilling bits contracts. Everyone can expect longer lead times with the improving market – whether you’re rebuilding or buying new. When there is low market or a decline in demand, there is bound to be higher inventory, as plants aren’t as busy building new rigs, and lead times are reduced. As the market improves and contracts increase, inventory is lower, plants are busier building more rigs and lead times tend to be increased. Ultimately, lead times vary based on the manufacturer.